The 70th anniversary of an astronomer’s first steps into a “whole new science” at one of Britain’s most important stargazing sites has been marked. 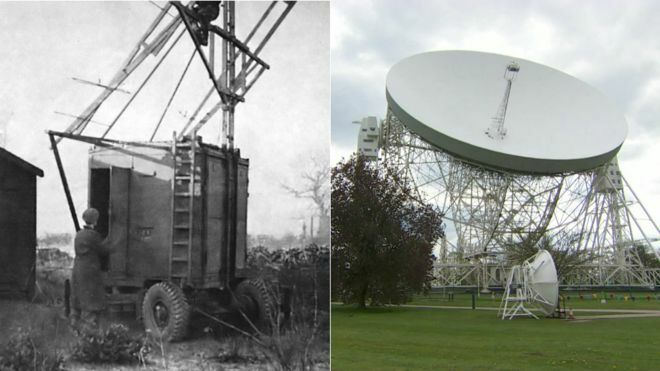 Sir Bernard Lovell began using radio astronomy in 1945 at the opening of the fledgling Jodrell Bank Observatory. The Cheshire site would later become home to the iconic radio telescope which bears the astrophysicist’s name. 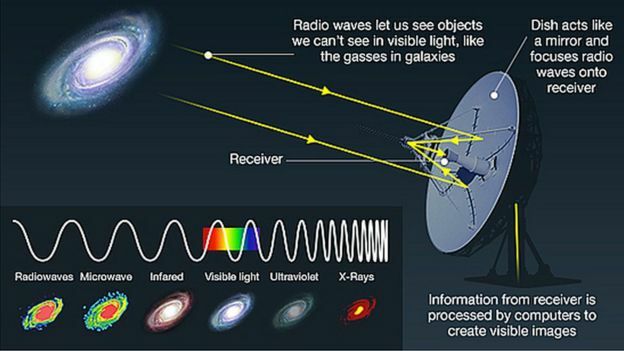 Its director Prof Tim O’Brien said his work had given astronomers the chance to look at “the invisible universe”. 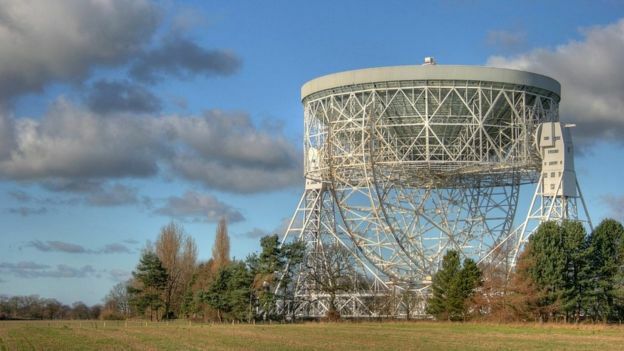 The anniversary has been marked with the launch of a year-long programme of events celebrating “the past, present and future of Jodrell Bank’s science, engineering and heritage”, a spokeswoman said. In April, the site was chosen as the worldwide headquarters for the Square Kilometre Array project, which will probe the early universe, test the theory of gravity and even search for alien life. Prof O’Brien said that achievement was a direct result of Sir Bernard’s work, as he pioneered a “whole new science [through which] we discovered a whole new universe out there, full of super massive black holes, exploding stars and the fading glow of the Big Bang. 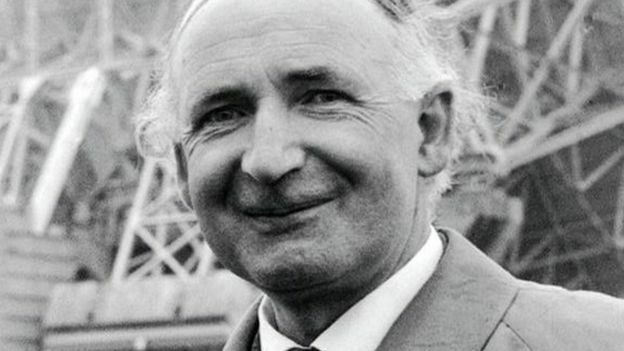 Sir Bernard Lovell initially set up the observatory for a two-week period in 1945. Sir Bernard, who died in 2012, set up old Army radar equipment on the site to detect cosmic-rays and investigate meteors and began work on 14 December 1945. 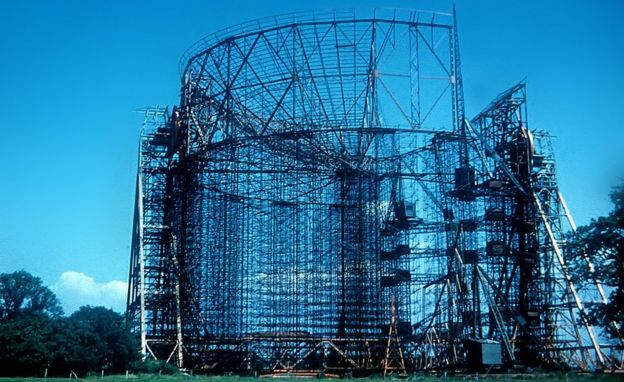 The huge Lovell Telescope was completed in 1957 and, during its first year, it was the only facility in the West able to track the rocket carrying the Russians’ first satellite, the Sputnik, into space. It went on to confirm the existence of pulsars – dying stars that send out pulses of electromagnetic radiation – in 1968 and, in 1979, was instrumental in proving Einstein’s theory of relativity for the first time. In 2006, it was named as Britain’s greatest unsung landmark in a BBC poll.